A braided rope barrier adds a touch of class to any venue, they are durable, easy to deploy and cost effective to purchase. Our braided rope barriers are part of our wide range of retractable barriers and are a great alternative to our velvet rope barriers. 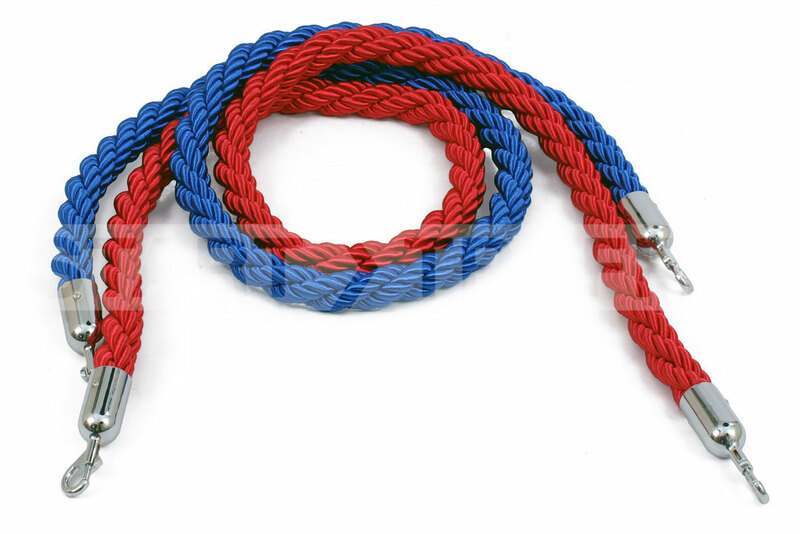 There are plenty of options to choose from when selecting which type or braided rope that you want, including colour, length and clasp finish. 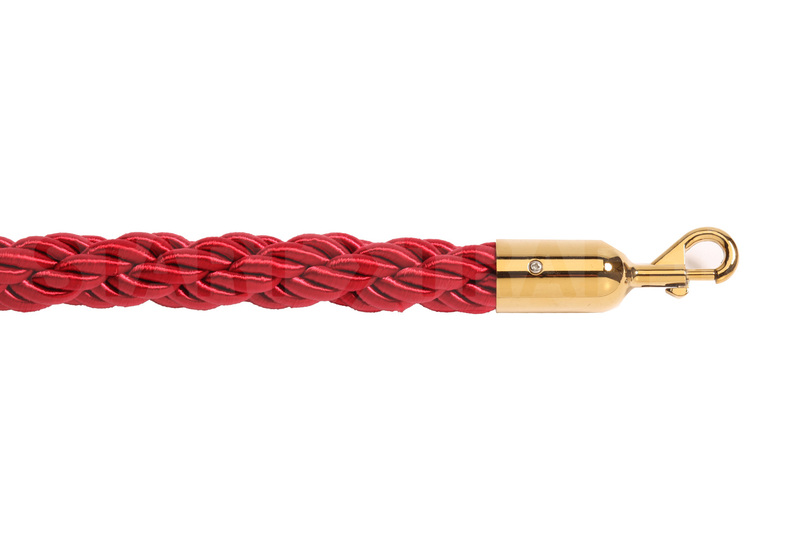 Our braided ropes are made from a hard wearing yet luxurious feeling Rayon that gives them a premium feel. They are great for churches, casinos and red carpet events. Each colour is suitable for different events, venues and applications. Although there are no set rules, so let your imagination run wild! If you cannot see the colour you would like then we may still be able to help! We can supply many more colours, however, a minimum order quantity may apply, give us a call for further information. 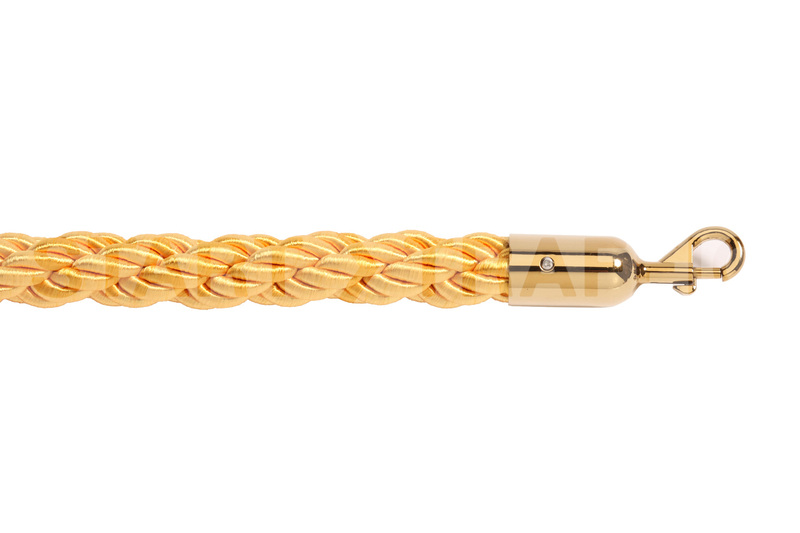 Our ropes are available in 1.8 metre and 2.4-metre lengths as standard. When calculating how many posts you need take into consideration that you want some slack in the ropes, they lose their 'good looks' effect when pulled taught. 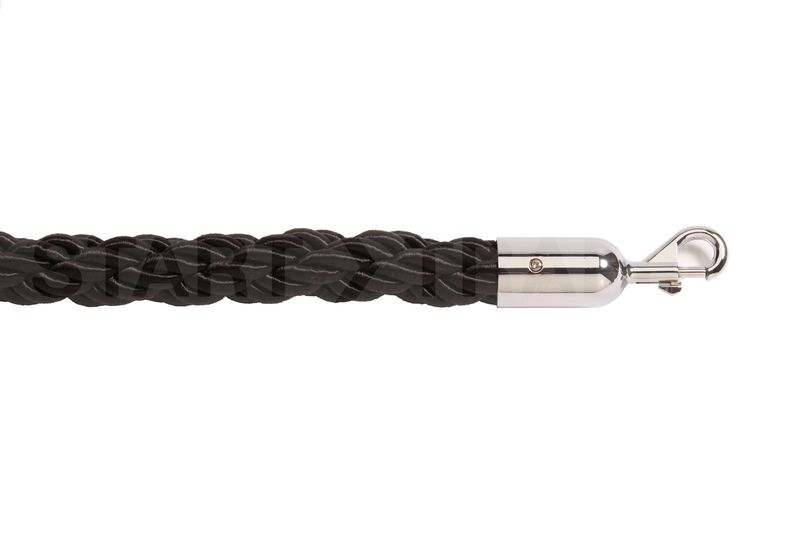 To complete the look we have a choice of two heavy-duty slide lock clasp finishes. 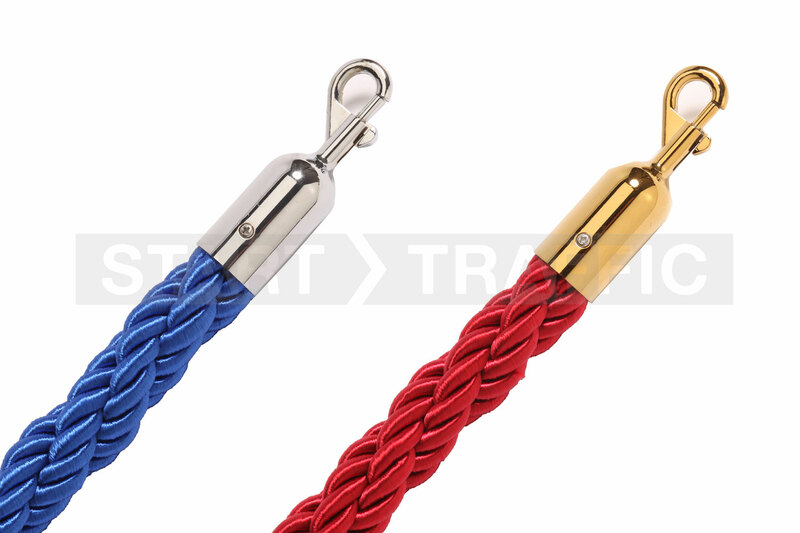 These complement the choice of colours available on our rope barrier posts. 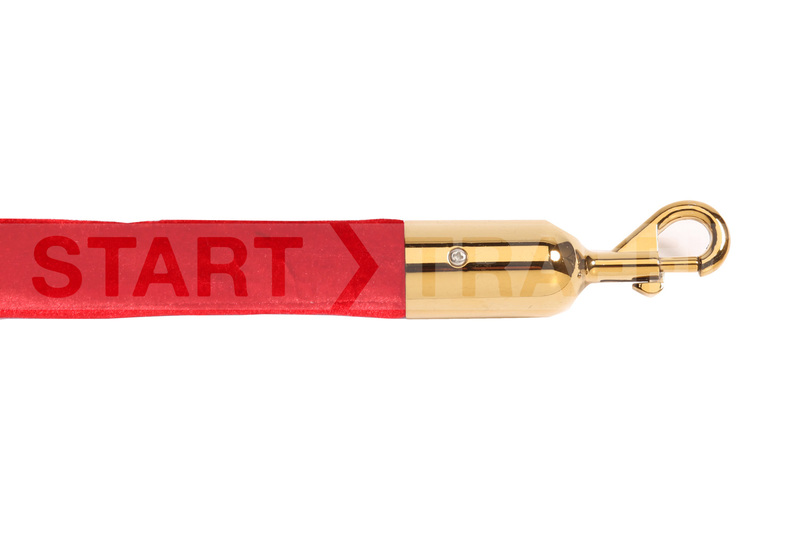 The end clasps are available in either polished brass or polished chrome. (Supplied with sliding clasps as standard). 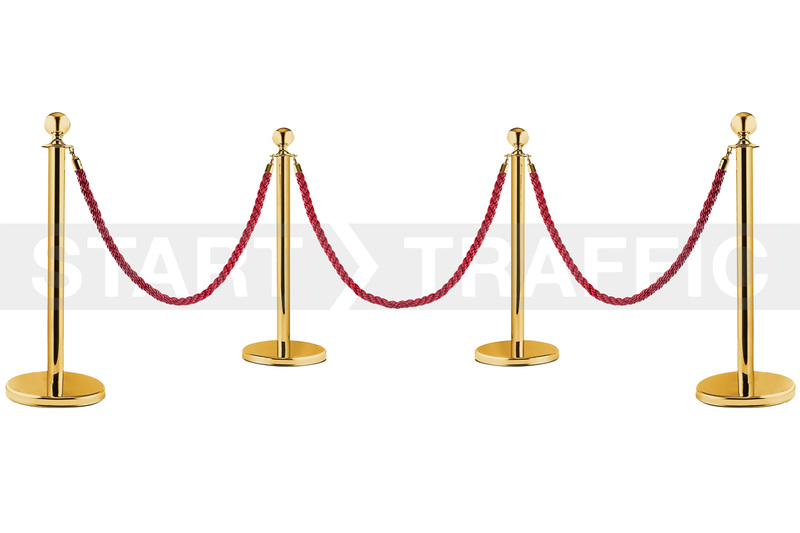 Looking for a Velvet Rope barrier? Our Valour barrier is about as close as you will get within a sensible budget. A strong core covered in durable yet elegant Valour give a hard wearing feel, whilst still being soft and giving the impression of velvet. Give our sales team a call today on 01905 794 875 and discuss any one of our rope and post barriers or retractable barriers. We will help you get a great deal and a product to be proud of.